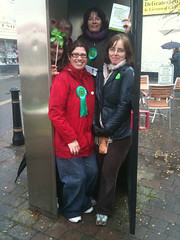 How many greens can fit into a phone box?! 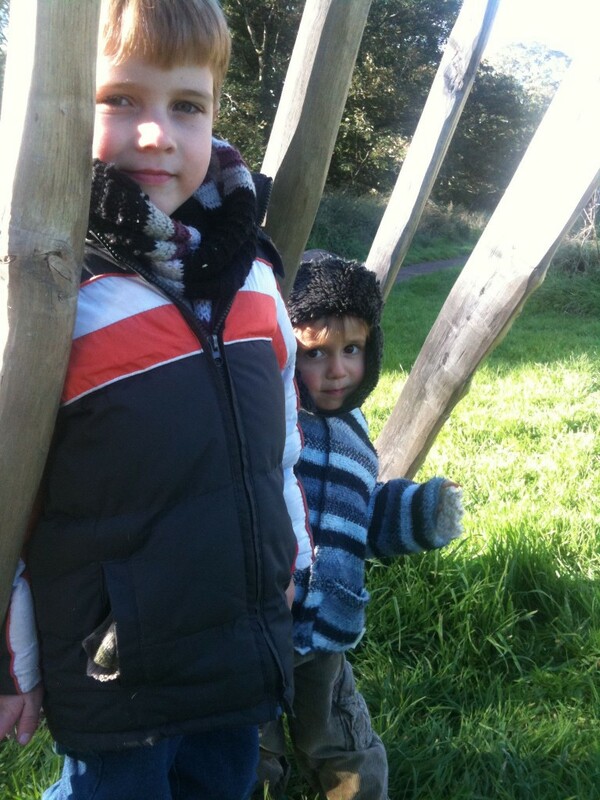 Ok, so we all went a bit barmy in Honiton yesterday…. It absolutely poured down on our Green Party information stall on New Street making us all look like drowned rats! But, after taking shelter in the phone box and under the walkway near Clarks, we emerged 20 minutes later when the blue skies returned and we soldiered on! 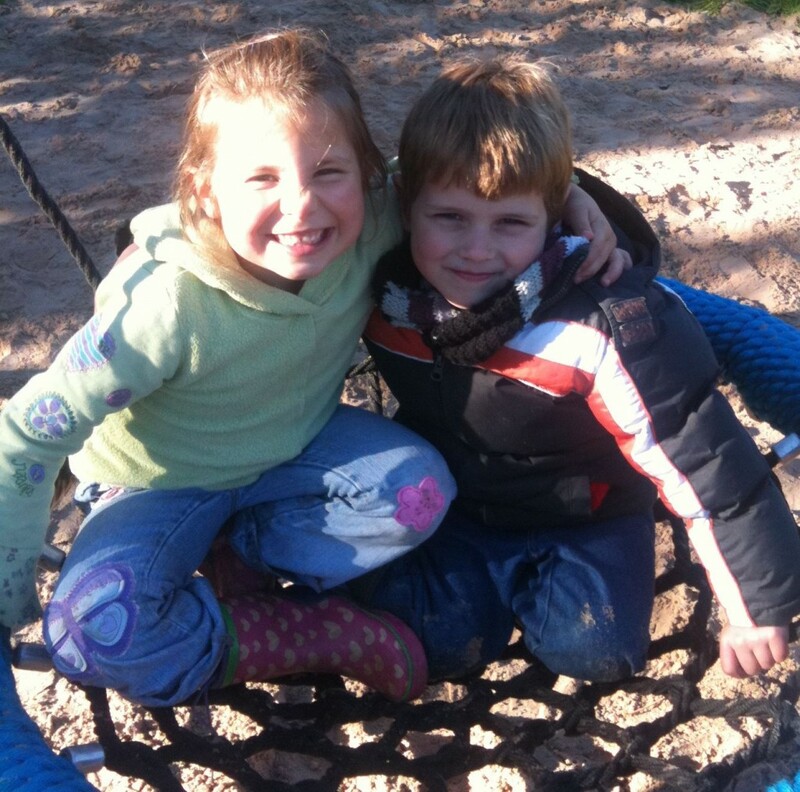 The answer by the way is 5: John from Honiton squashed in the back there with Ana who joined us from Alfington. Sidmouth Sharon is there waving her soggy windmill, then myself in red at the front with Cathy Connor, the former parliamentary candidate for Tiverton & Honiton, who came all the way over from Kentisbeare to help us out yesterday. Thanks to everyone, we met some lovely people as always and listened to their concerns about the traffic, lack of a community ethos in town, people abusing using disabled badges, more green initiatives needed, plus the cuts to benefits, and spending review. I’ll be standing for the East Devon District Council seat in the St Michael’s ward in Honiton in May 2011 so just starting to get out and about to find out what people want in their area, and work out how exactly I could help. Please add comments on here if you have any ideas you’d like to add. 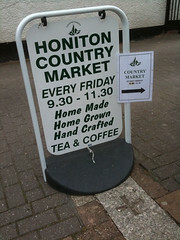 I went to the country market in Honiton on Friday. It is on every Friday in the Mackarness Hall in Honiton, next to St Paul’s Church. I bought eggs and some veggies. I hope this market gets more advertising and people attending so it can grow and develop. Maybe be more like the Ottery St Mary community market or the Farmer’s Market’s in Axminster. I think promotion is the key, and maybe changing the day to run alongside the normal market days – on Tuesday and Saturday. I sent off my second letter today to Honiton Town council regarding the allotments they should be providing for the residents of Honiton. Did you know all councils in England & Wales (with the exception of inner London) have to, by law, provide allotments? Any group of adults over the age of 18 and registered on the electoral roll can group together to request the council provide allotments. 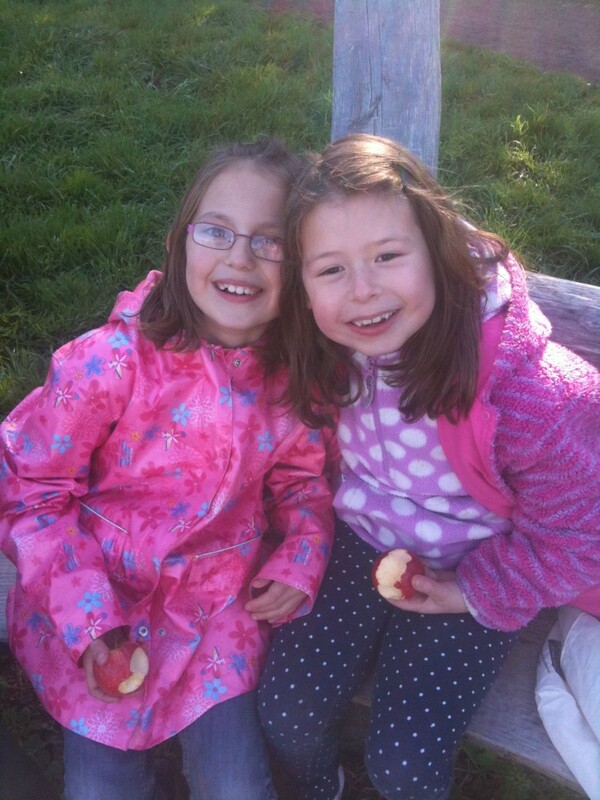 All local authorities have a mandatory obligation to provide allotment provision. Honitonians have been trying to get allotments in town for years and now the East Devon Green Party (which I coordinate) is picking up the baton and trying to nudge the whole shabang along a bit…. 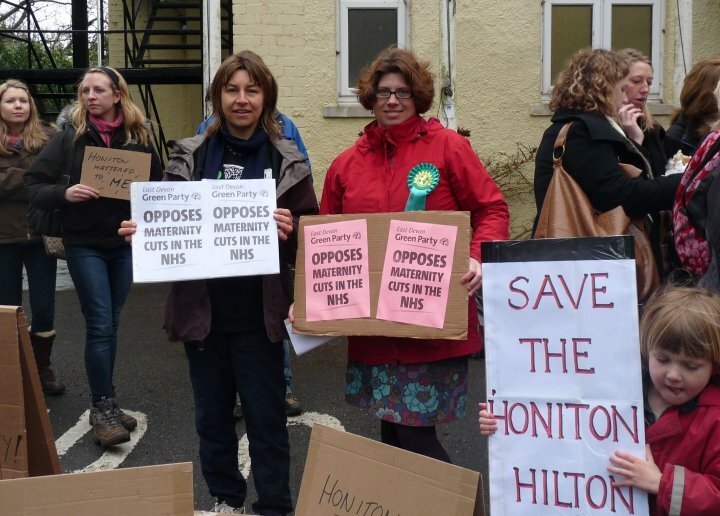 I am writing representing the East Devon Green Party and would like to raise our objections to the proposed changes to the services at Honiton Maternity Hospital. The East Devon Green Party objects to the closure of the unit and the changes to the way mothers and expectant mothers/parents will been cared for in the East Devon area. After attending several meetings, both at The Knowle and public consultation meetings and reading the literature involved, we do not feel that the proposed changes offer any improvement in services in our community. Quite the opposite in fact, we feel that moving the care from the unit to home based/midwife care will be extremely detrimental to the service. This is not offering women more choice, again quite the opposite. It limits choice and for many women. 24 – 48 care within the unit is what they need to establish breastfeeding and simply recover from an exhausting physical experience. 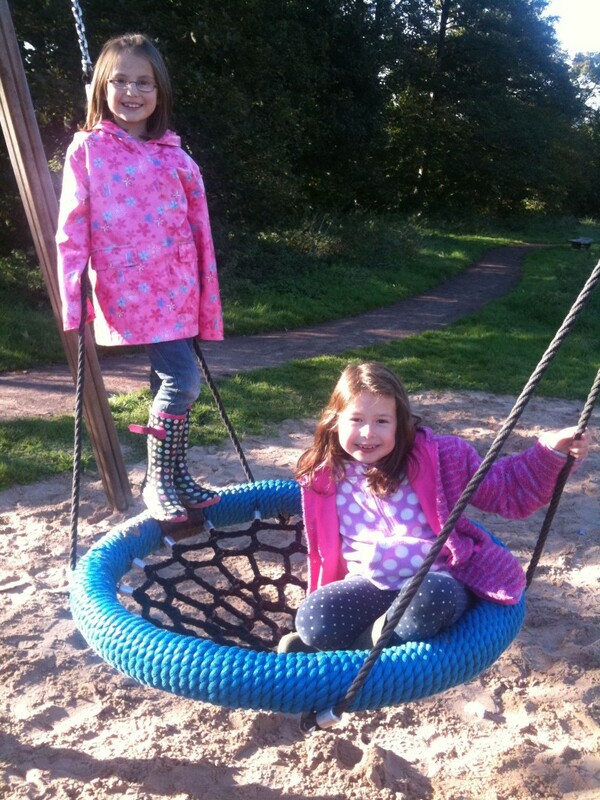 The East Devon Green Party are an active part of the Honiton Maternity Matters group which involves representatives from four political parties (Green, Labour, Conservative and LibDems) as well as many councillors, medical professionals and parents. There is a huge amount of upset and outrage about this proposal within this community and we are hoping that the scrutiny committee, of which you are a member is listening to all of the objections and will do the decent thing and not allow these unworkable and unfair proposals to go any further. I look forward to hearing from you & hope to attend the meeting in the morning. Photo above – Sharon Pavey on the right & Sharon Howe demonstrating at the East Devon District Council offices at the Knowle in Sidmouth. Almost two thirds of East Devon mums are exhausted when they leave hospital after having a baby. That’s the results of a survey published today, by campaign group, Honiton Maternity Matters. And a worrying 16 mums (almost half the respondents) then went on to ‘struggle to manage’ or ‘really struggle to manage’ when they returned home. The online questionnaire, which was emailed to more than 2,800 people on the Facebook group ‘Save Honiton Maternity On-site Aftercare’ was aimed at women who had given birth at Honiton maternity unit and the RD&E since transfers from the RD&E and overnight stays ceased at Honiton in February. A total of 39 women responded to the survey – thought to be around half of East Devon women giving birth in that timeframe – which listed 28 questions on local mums’ experiences, including breast-feeding support. 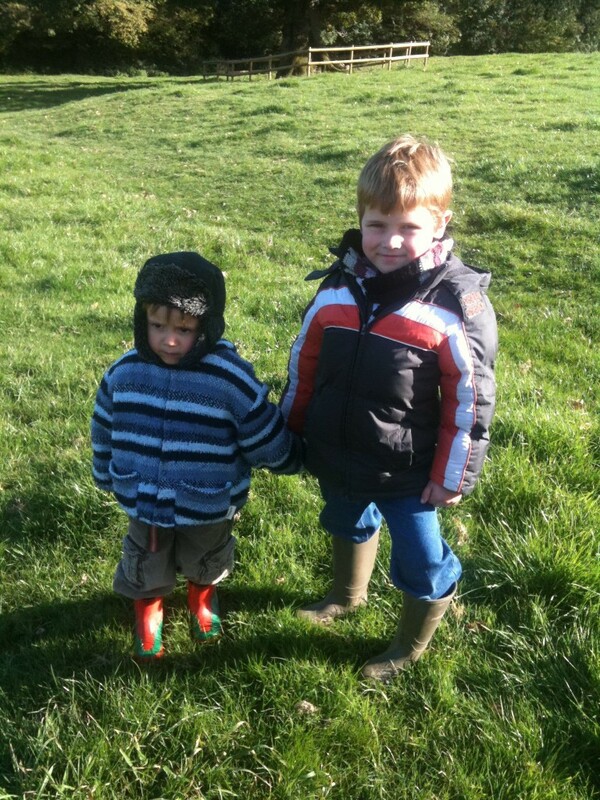 Ann-Marie Chapman from Axminster gave birth at Honiton in May. After 48 hours with just a couple of hours sleep and then a difficult first night at home with her new baby, she was completely exhausted and struggled to cope. And due to problems with trying to get a midwife to visit at the right time for help with breast-feeding, Ann-Marie decided instead to turn to her midwife sister-in-law for assistance. Claire Wright, Ottery St Mary Town Councillor for West Hill, added: “We had some very revealing remarks which prove that the new telephone advice system is impractical. Ann-Marie’s experience is typical of the mums who completed the survey, with over half of the women (18 out of 33) not confident about breast-feeding when they were discharged. 13 of those women sought help once they were at home and seven women were visited by a midwife. Three of those seven waited longer than 13 hours to be seen. At Honiton’s maternity unit, women received instant face-to-face help and advice any time of the day or night they needed it. Two women say they gave up breast-feeding due to difficulties. The survey results are published ahead of Devon County Council’s Adults Health Scrutiny meeting debate on maternity services, which takes place next Thursday (23 September) at 10am. At this meeting the scrutiny committee will decide whether or not to endorse proposals to end overnight stays at Honiton maternity unit. Women from all over East Devon took part in the survey but the majority of respondents were from Honiton, with 16 (41%) of replies from the town. Ottery St Mary and Exmouth had six and five responses respectively. All the other East Devon towns had one or two respondents each. Over half of respondents indicated that they would like to stay at Honiton Hospital for two nights. The most popular reasons for this were rest and breast-feeding advice. Over two thirds of women who gave birth at the RD&E said they did so for medical reasons only. Just two said it was because the RD&E was their first choice. The remainder of women (one quarter) said they gave birth at the RD&E because Honiton maternity unit was closed overnight. Letter I sent to the Midweek Herald today….. I was interested to read about the plans to stop spending £10,000 of council taxpayers’ money on lamp post decorations in Honiton this Christmas. Honiton Town Council and Honiton District Chamber of Commerce are instead to spend a lesser (undisclosed) amount on 100 Christmas trees which will be placed in flag holders above business premises and individually lit. The East Devon Green Party requests that the chamber’s chairman Colin Wright should ensure that these trees are from sustainable suppliers who either boast a Forest Steward Council accreditation or are members of the British Christmas Tree Growers’ Association as both adhere to a strict sustainability pledge, where for every tree taken, another is planted and chemical use and impact on local wildlife are considered when the trees are being grown. We also hope that the trees will be recycled when expired or the retailers could consider using a living tree with roots perhaps at a lower level on their premises which can be used again every year. We would also like to see Honiton retailers leading the way in ensuring that our town is doing it’s bit in the universal effort to lower our energy use by embracing the use of low energy light bulbs and solar powered lights. I’m sure many Honiton residents will agree that they would like to enjoy the festive lights knowing that they are as eco friendly as they can possibly be.